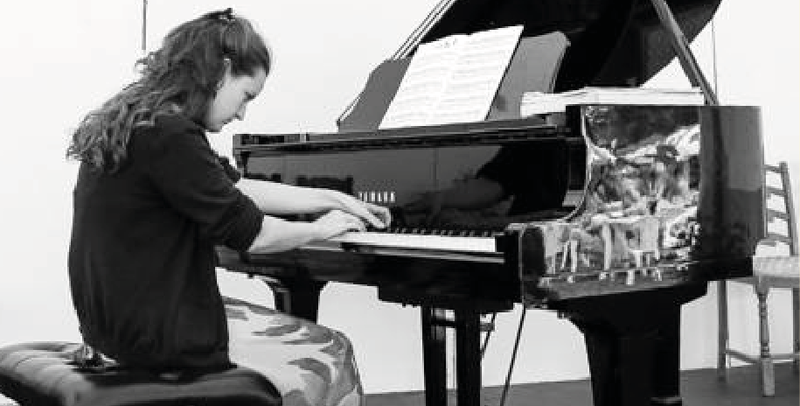 I am a performing pianist and piano teacher and have been working in North London since 2007. I began the piano at the age of 6 learning the Suzuki method myself with a wonderful teacher Kasia Borowiak who is still teaching in Hertfordshire. When I was 9 I got a place to study on Saturdays at the Junior Guildhall School of Music and Drama where piano lessons were supplemented with choirs, ensembles, theory and general musicianship. I then went on to study at undergraduate level and Post graduate level at the CNR de Lyon (France), the Royal Northern College of Music, Manchester University and the Guildhall, respectively. So having taught more traditionally for about 8 years, I more recently did the Suzuki training. This opened my eyes to how much more fun and rewarding piano lessons can be. Too often I speak to adults who remember their music lessons as scary or boring. Worse still they don’t remember anything they learnt! Most people who have instrumental lessons naturally move on eventually and do other things. It is my mission however to give everyone the chance to love music and to take away a skill and a positive experience that will stay with them for the rest of their life. Alongside my teaching I am a performing musician and also a mother. I therefore have experience at either end of the learning process. Pupils have the chance to see me perform regularly which can give them inspiration and a bigger picture of the music world outside of lessons and Suzuki. I also know how hard it is to juggle family life and work so can hopefully give experienced and sympathetic advice on how to make the job of practising with your children a manageable thing.